One weekend Erika Brown set up a booth selling hummus at a local Farmer's Market as something fun to do. 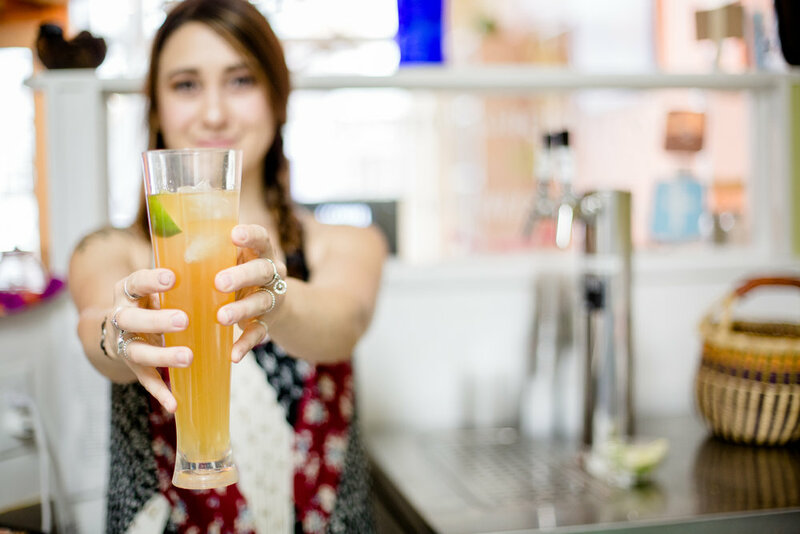 Watching her product disappear from the table, she realized she had a real business on her hands. 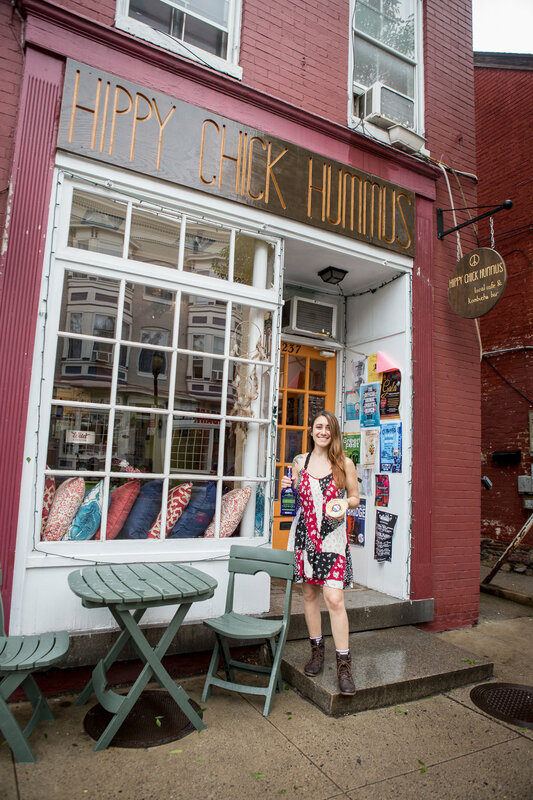 Two exciting years later, Erika distributes her products to five local retailers, and owns & operates Hippy Chick Hummus - a plant-based cafe and kombucha bar located in the heart of Downtown Frederick. Young Age: Advantage or Disadvantage? Everything just fell into place at the right time. I think if I knew what I was getting into, I wouldn’t have thought that I was ready. I would have delayed it until I was older and wiser, but I just learned it all as I went. I ended up taking a lot of risks that I wouldn’t have taken if I had more to lose. I’ve been able to fully follow my passion and that’s what’s made the business successful. At the beginning, I didn’t think I was going to create a cafe. I was just setting up a booth at a farmer’s market as something fun to do on the weekends. Then, I was just making more to sell wholesale to some local businesses. When the opportunity of the café did come along, I just looked at each little mark in the process: Health Department. Permits. Getting the floors done. Getting the glassware. Everything was one thing at a time. What continues to surprise me the most about my business is - it’s limitless. The business will go wherever and however far I want to take it. I could take this business and turn it into a wholesale factory to mass produce for grocery stores. Or, I could open a bunch of other little cafes to offer people good food made with love that way. Or, if I wanted to, I could just stop growing and stay here at a comfortable place. Everything in my business depends on how hard I work and which way I want to go. I have total flexibility in what I want to do. I’ve been working hard to fine tune this space -- We actually just opened a new backyard patio for customers to enjoy! And, eventually I will open a second location. It’s hard to believe, but we’re already outgrowing this space. Another location is definitely on its way. Do it because you’re passionate about it --- not because of the money you think you can make. Looking at it from a money-making perspective will scare you off when it gets hard. But if you genuinely love what you do, you'll find yourself coming back every day, even on the hard ones.